Asbestos is a set of six naturally occurring silicate minerals used commercially for their desirable physical properties. Asbestos Containing Building Materials (or ACBMs for short) became increasingly popular among manufacturers and builders in the late 19th century because of their sound absorption, average tensile strength, resistance to fire, heat, electrical and chemical damage, and affordability. The same properties that make asbestos a good building material make it a health hazard. Inspect buildings constructed prior to 1980. Asbestos was used in such applications as electrical insulation for hotplate wiring and in building insulation. When asbestos is used for its resistance to fire or heat, the fibers are often mixed with cement (resulting in fiber cement) or woven into fabric or mats. These new woven materials are called Asbestos-Containing Building Materials or ACBMs for short. Approximately 100 000 people in the United States have died, or are terminally ill, from asbestos exposure related to ship building. Many more people have suffered from building exposure. The prolonged inhalation of asbestos fibers can cause serious illnesses including malignant lung cancer, mesothelioma, and asbestosis. 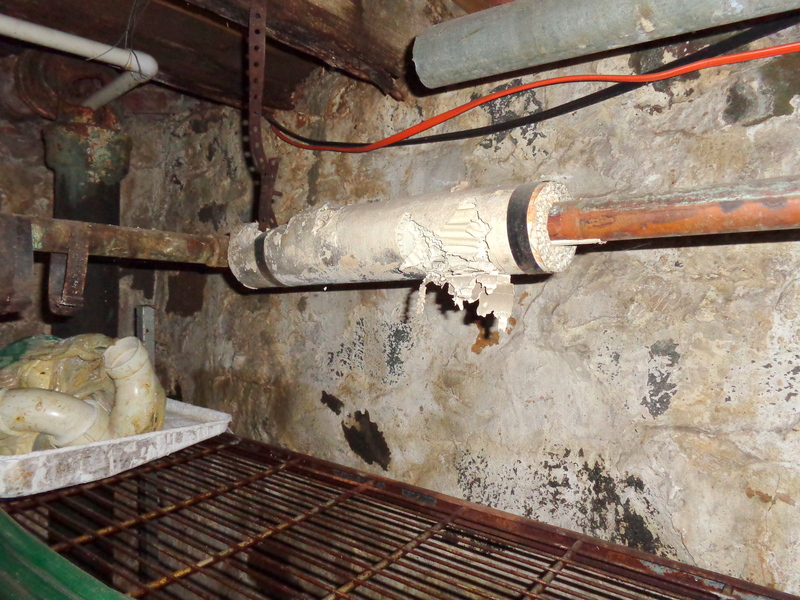 Federal and state regulations prohibited the production of ACBMs in phases between 1973 and 1978, however older buildings still contain asbestos and when major renovations are done it is recommended that any material thought to be asbestos is removed properly first.